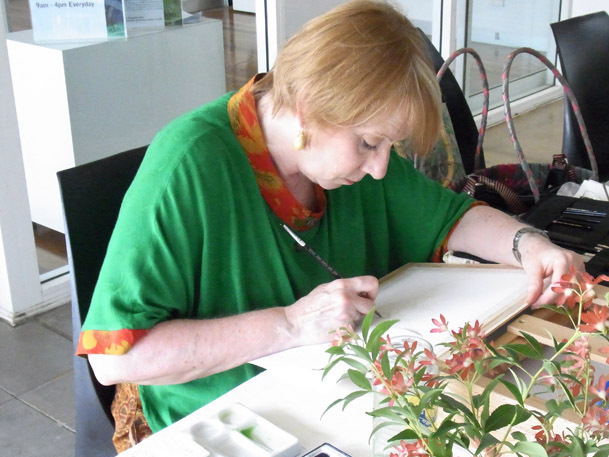 Thanks to everyone who came along to my botanical painting demonstration of some NSW Christmas Bush at Eden Gardens last Sunday afternoon on what turned out to be a very hot day in Sydney so not ideal conditions for watercolour painting! 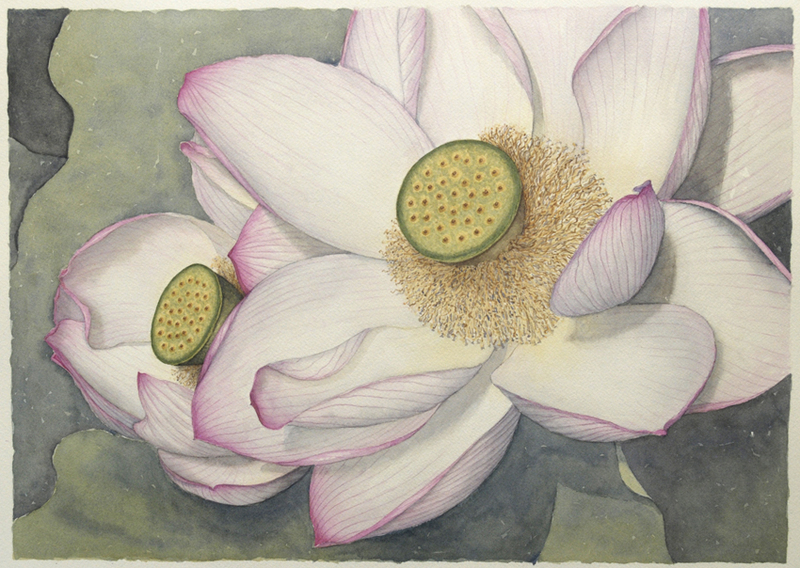 But it all went well and I sold 6 more paintings on the day including the watercolour lotus painting below. 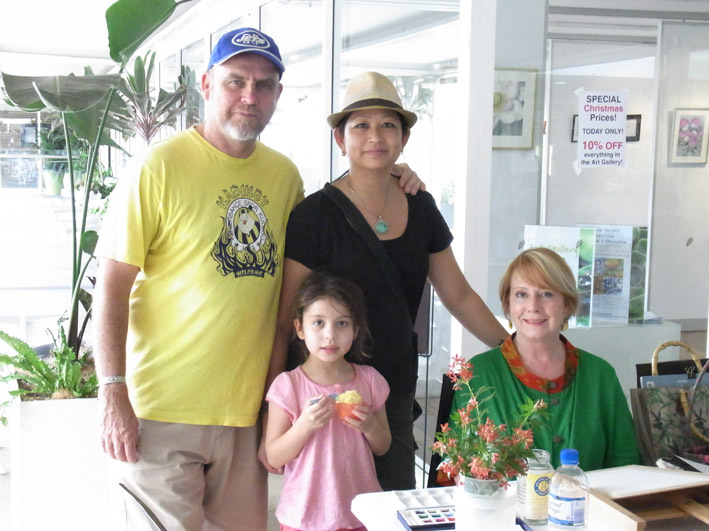 Here are a couple of photos of me at work and with some happy customers.